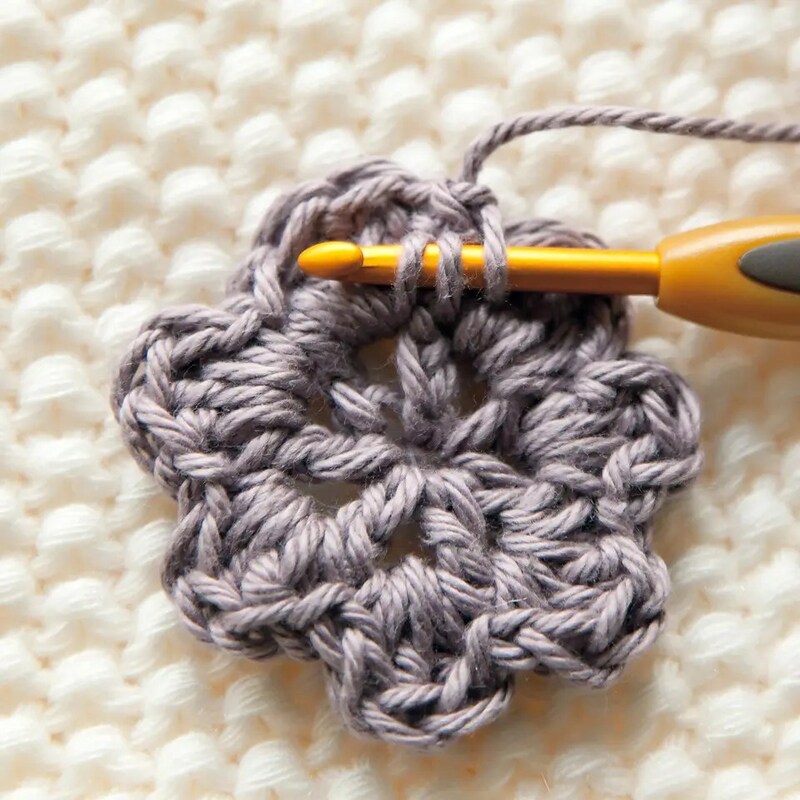 Crochet flowers are the perfect embellishment for your crochet or knitting project. They look amazing on hats, scarves, bags, pretty much anything (although my son would beg to differ!) 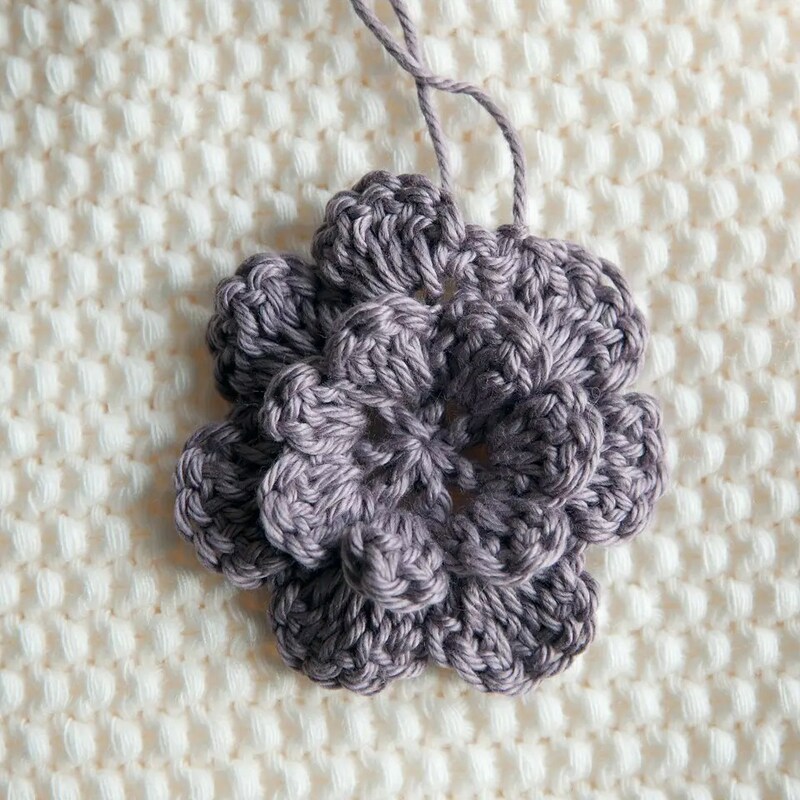 If you are new to crochet and want to make a simple flower to sew onto your work, look no further. Round 1: CH4, *(1 DC, 1 CH) into magic circle, repeat from * 5 more times, join into 3rd ch of the first ch4 with a slip stitch ( you will have 7 chain spaces). Round 2: CH1, *(1 SC, 3 DC, 1 SC) into chain space, repeat from * 6 more times (there should be 7 petals) and join with a slip stitch into first sc. This part is a little tricky. Round 3 is worked in the back of the petals that you created in step 2 above. , *CH 3, 1 SC into next pair of sc stems, repeat from *around and finish with a CH3. 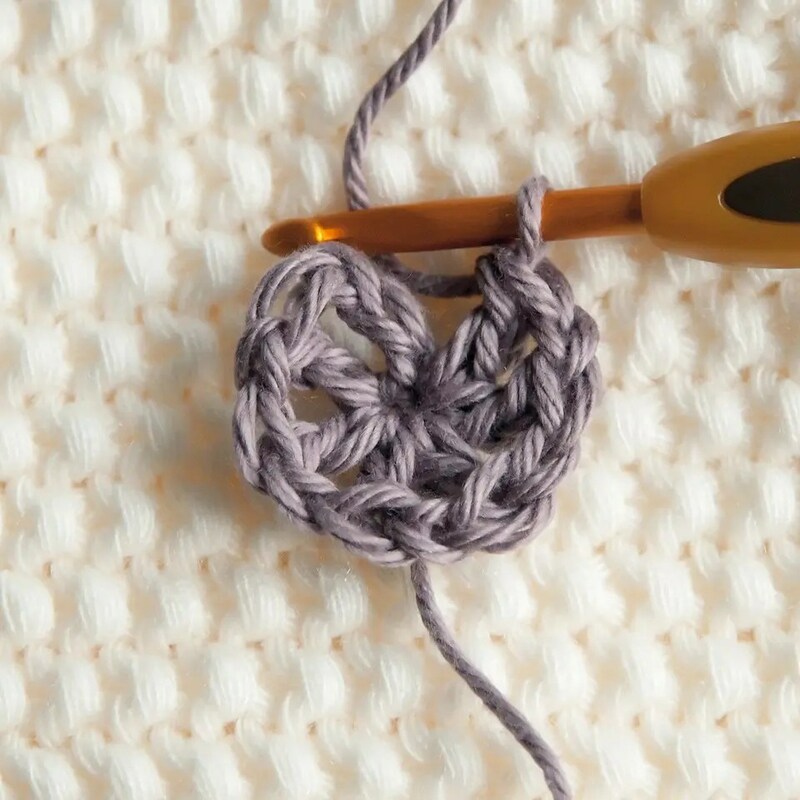 Join to the first sc with a slip stitch (there will be 7 chain spaces behind petals). This is the last step! 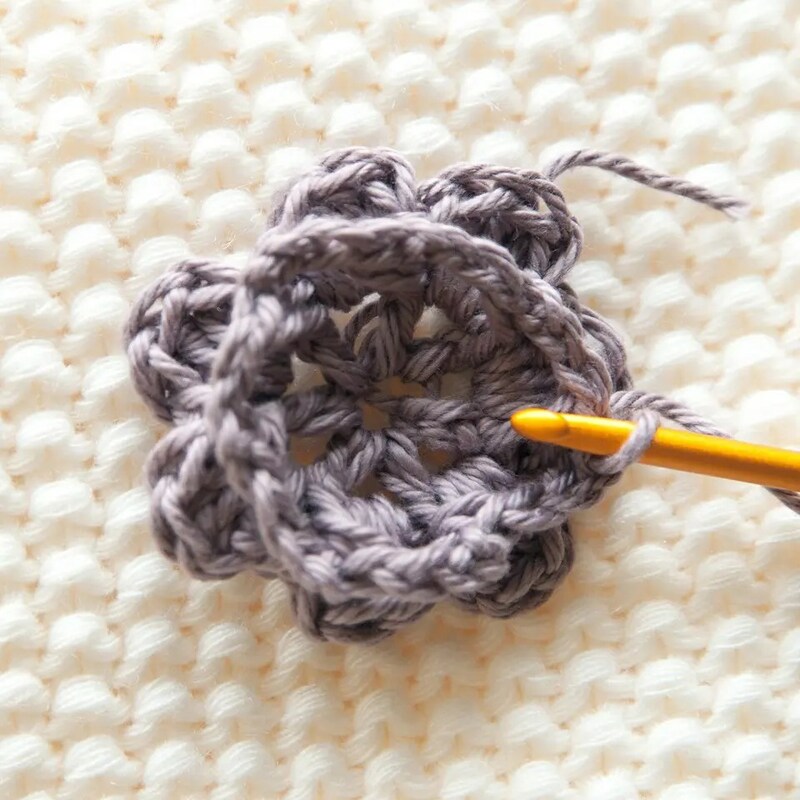 You have almost completed the crochet flower. All you need to do now is create the second round of petals in the chain spaces that you made in step 3 above. Round 4: CH1, *(1 SC, 5 DC, 1 SC) into chain space, repeat from * 6 more times. Join with slip stitch to first sc and fasten off. There you have it! 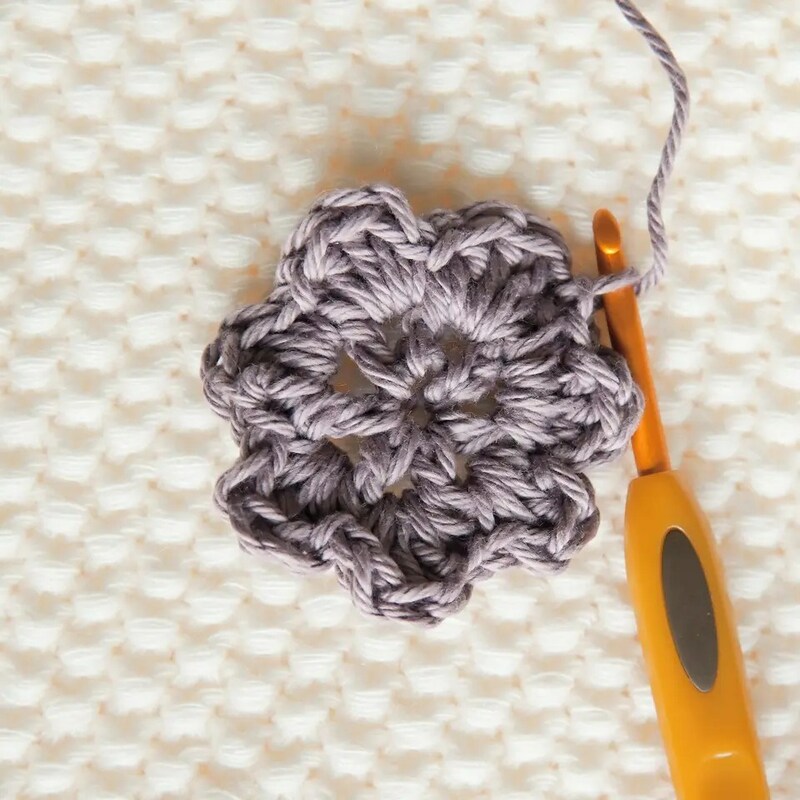 You can now sew the flower onto your crochet project to make it look extra pretty!